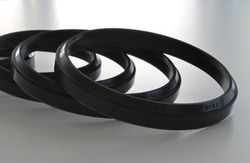 Backed by the years of experience and expertise, we are engaged in manufacturing and supplying an extensive range of Rubber Wiper Rings or Rubber Wiper Seals to fulfill the demands of our clients. Backed by the years of experience and expertise, we are engaged in manufacturing and supplying an extensive range of Wiper rings to fulfill the demands of our clients. These products are well equipped and ensure longer functional life. Highly advanced technologies and latest equipment are used while fabricating these products. We are offering Ring Wiper LPM Brush to our clients. 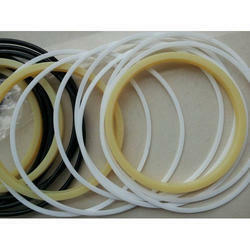 Our customers may avail from us a wide range of Wiper Rings for Hydraulic & Pneumatic Cylinders. Such seals are created using top quality materials and suit properly in the application area. Our seals contain soft finishing, are long lasting, ductile and work for a longer period. This Rubber Wiper Rings is acknowledged in the industry due to its numerous uses such as to avoid contamination in hydraulics. Further, these products are presented in different sizes and specifications. We supply advanced glass wipers and floor wipers with which you can just wipe off any kind of hard stains at ease covering larger radius of sweep in each push or pull.